Photo Credit: Tracy Loh In 1926 the Venetian Causeway was conceived as a way to connect mainland Miami with the south end of Miami Beach through six uninhabited islands. 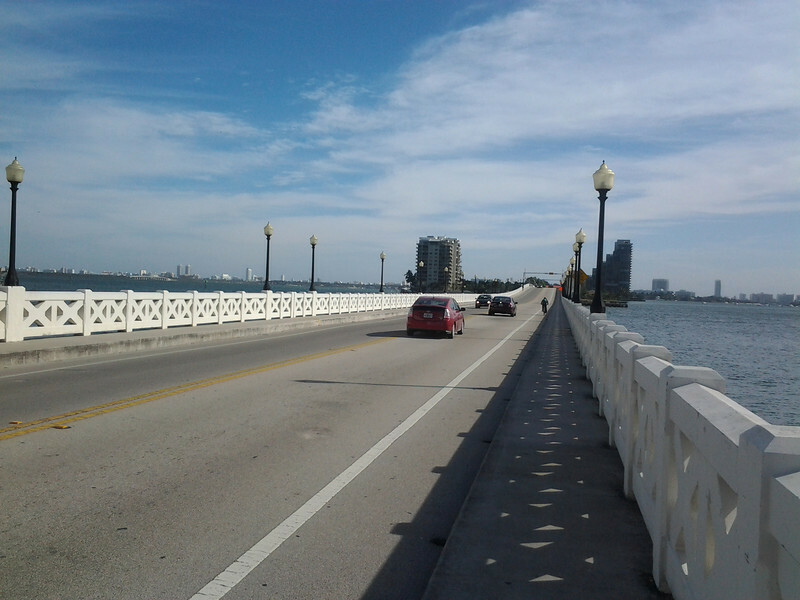 As the population of Miami Beach and the Islands increased, the Florida Department of Transportation saw the need to construct a new bridge in place of the Causeway, which is on the National Register of Historic Places. Local citizens fought hard to preserve the Art Deco Bridge and eventually partnered with FDOT. Over the past 20 years 7 Transportation Enhancements (TE) projects have helped to restore and rehabilitate the Causeway. The Venetian Causeway Neighborhood Alliance and FDOT worked together throughout the project to ensure it meet the community’s desires, FDOT even designated a Citizen Liaison. In 2003 the first round of projects helped to replace failed concrete segments and install period lighting fixtures. The good relationship established with the community helped ease tensions when delays were incurred. Later, in 2009 several other enhancements were added to the bridge and surrounding areas. Transportation Enhancement funding has helped to rehabilitate and preserve the historic bridge for future generations as well as make it more bicycle and pedestrian friendly.